Product prices and availability are accurate as of 2019-04-11 02:32:38 EDT and are subject to change. Any price and availability information displayed on http://www.amazon.com/ at the time of purchase will apply to the purchase of this product. 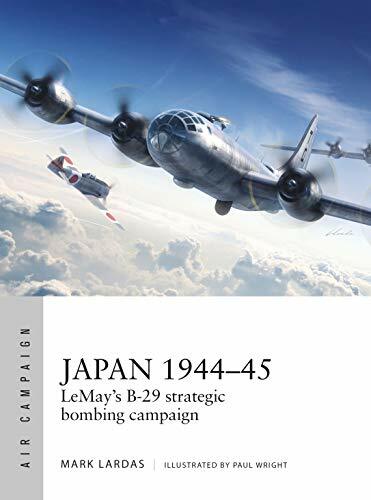 Japan 1944-45 examines the only time in history that a major war was ended by the use of air power. It shows how the United States used a combination of industrial capability and geography to devastate Japan from the air, and why the Japanese, despite a promising start to their defense, proved unable to prevent the XXIst Air Force from destroying their country. Since the early 1930s air power advocates had claimed that aerial bombardment alone could defeat a nation. Yet by January 1945, while it had been the key to winning ground campaigns, from the German Blitzkrieg to the Allies' advance across the Pacific, air power had failed to demonstrate their most audacious claim: that strategic bombing, by itself, could win a war. The United States sought to prove it by reducing the Japanese Home Islands' military and industrial capability through bombing alone until they had to surrender.